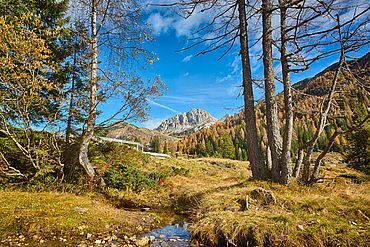 Soaring peaks, tranquil valleys, green meadows and babbling brooks; hiking holidays in Austria are balsam for body and soul. A fabulously developed network of paths ensure that there is just the right walk for you. Whether it be a gentle stroll through fascinating places, or a strenuous hike, the diverse landscapes of Austria are just waiting to be discovered. Your final steps will then lead you back to a cosy Landhotel, offering you a warm welcome and a restful place to put your feet up. The lovingly-run hotels specialise in catering for hikers and their particular requirements. We offer guided hikes, enticing packages and information areas with maps and suggestions to make sure you have everything you need. Landhotels have thought of the practical side of things too: There is, for example, a drying room and somewhere you can clean your boots. 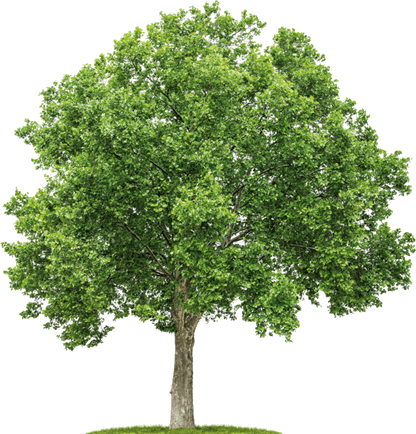 Moreover, we offer packed lunches, a shuttle bus for hikers, a hiker’s pharmacy offering anything you might need after a long walk, and an appropriate list of alternative activities. You can even save space when packing by borrowing our raincoats and walking poles. The Salzburg region is a dream destination for hikers, offering breath-taking views around every corner. Filzmoos, for example, is a beautiful mountain village at an altitude of 1057m, nestled amongst fabulous mountain scenery. Further south, three charming villages namely Bad Gastein, Bad Hofgastein and Dorfgastein, all huddle in the Gastein valley. 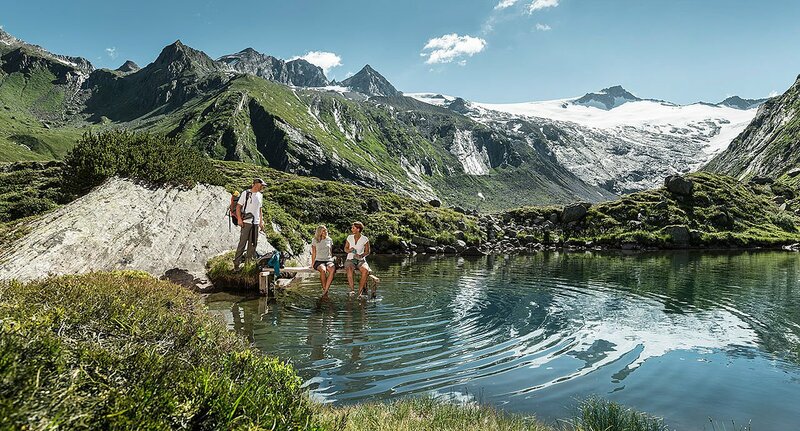 All hikers are encouraged to include the impressive Gastein waterfall on their route map - this is one of the golden landmarks of this spectacular region. Stunning Zell am See/Kaprun are of course also on the list of must-sees. 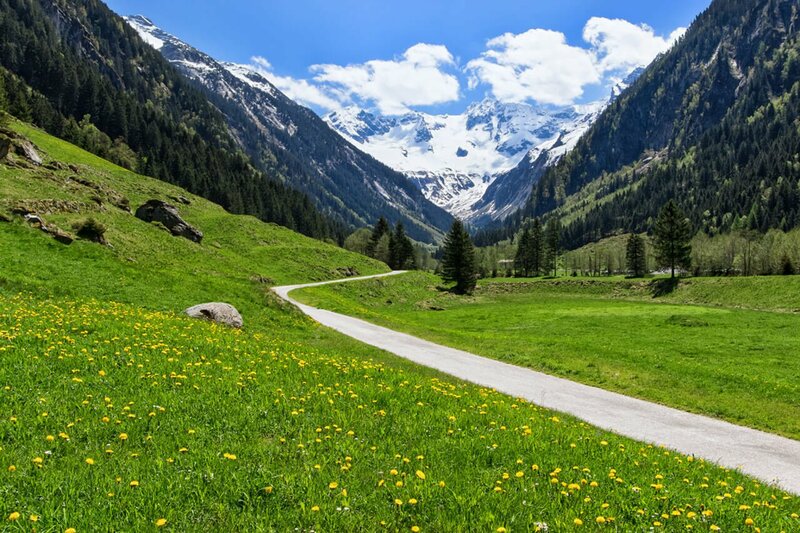 The area offers everything from a relaxed wander along the promenade, to a hike on the Kitzsteinhorn glacial plateau. This area displays the best of what Austria has to offer. Magnificent hiking trails in the Saalach valley lead you to unmissable beauty spots, but equally worth a visit are the leisure and adventure hubs of Tennegau and Lungau. 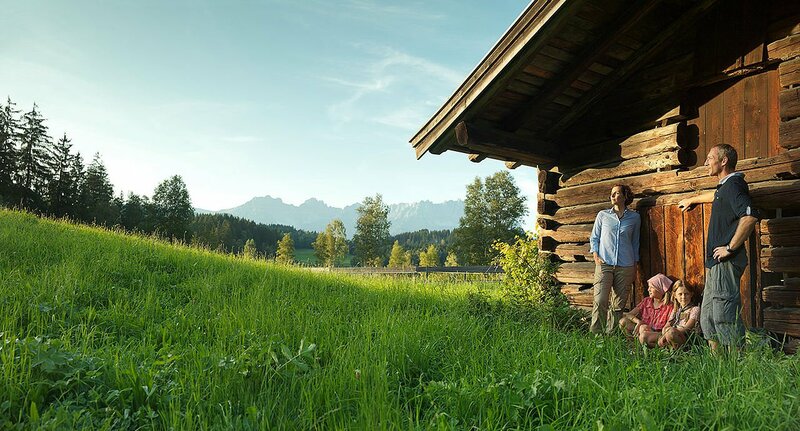 And don’t forget: Just to ensure that your hiking holiday in Salzburg is truly an unforgettable treat, convivial Landhotels can be found right across the region. 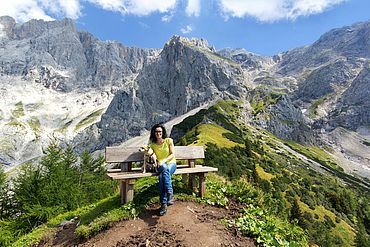 A hiking holiday in this region provides constant variety: this county encompasses a breath-taking variety of wonderful scenery, from lower-lying mountains to imposing peaks. 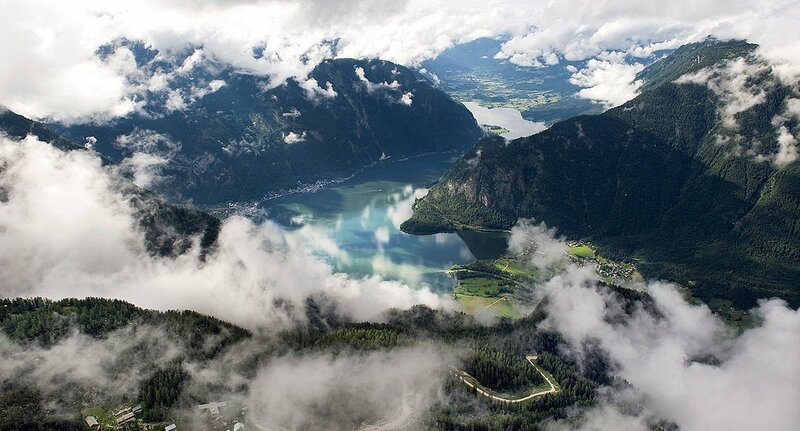 One area in particular which offers unparalleled scenery and historically-infused cultural offerings, is the Salzkammergut area with its numerous lakes, mountains and good food, where tradition is brought to life. This is a place for hikers to refuel their joie de vie and to recharge their batteries. A veritable jewel of nature is Franking Holzöster am See. This town is situated in moorland in the foothills of the Alps, and exudes rural idyll with fabulous flair. Taking a dip in the moorland lake at the end of your day’s hike is not only allowed, it is positively encouraged; the water temperature can reach as much as 23 degrees in May, depending on weather conditions! But let’s not forget the Pyhrn-Priel region with its wonderfully hilly alpine pastures, the exhilarating views and gorges. Those of you wanting to discover every facet of Upper Austria will feel perfectly at home in any of the marvellous Landhotels, all of which are ideal for hikers wanting to tread the best trails. It is hard to do justice to the Tirol region. The region is so varied that words simply are not enough. The Ziller valley, for example, forks off from the Inn valley approximately 40 kilometres east of Innsbruck. It is encircled by countless peaks over 3000 metres high, the highest of which is the regal Hochfeiler reigning over all at 3509 m. There are 25 different towns in the Ziller valley, each and every one of which is worth a visit. Hikers here are spoilt for choice. A total of 1400 km of well-signed trails offering everything from easy to strenuous hikes lead from the valley floor up to the sometimes rugged peaks soaring high above. An easy and quick way to reach the glorious alpine landscape is of course to take one of the numerous cable cars in the region. 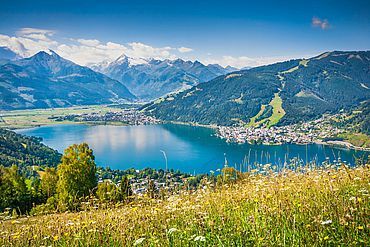 A particularly special destination is the lake-filled Alpbach valley, offering hiking trails and fabulous gorge scenery amid delightful villages. 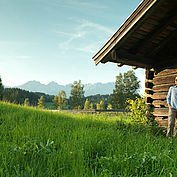 Whether you choose the Ziller valley, or the Alpbach lakes; hiking in Tirol is always an experience and, with Landhotels, pleasantly affordable. A host of heavenly footpaths await all hikers in Carinthia in a unique landscape with lakes at all altitudes. 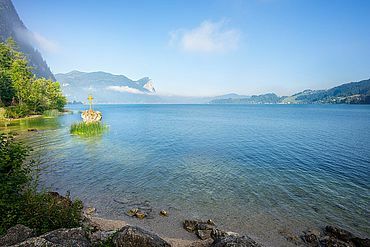 The area around the Nassfeld Pressegger Lake is loved in particular for the way it manages to combine incredible fauna with varied cultural offerings and sumptuous cuisine. Nassfeld is the largest ski resort in Carinthia. During the winter months it draws the crowds but is an ideal hiking destination once the snows have melted. The 1000 km of hiking trails mean that all hikers can trek to their hearts’ content. Nestled in between enticing mountains, woods and meadows, the Pressegger Lake is amongst the warmest in Austria, with water temperatures up to 28 degrees Celsius. 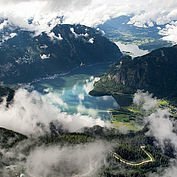 Ramsau am Dachstein is a beautiful plateau region of more level ground in a mountainous landscape. Ramsau presides over the Enn valley from its balcony-like location. 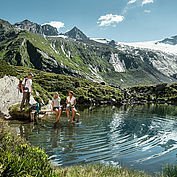 The alpine regions act as a magnet for hikers, offering unique hiking trails and stunning scenery. 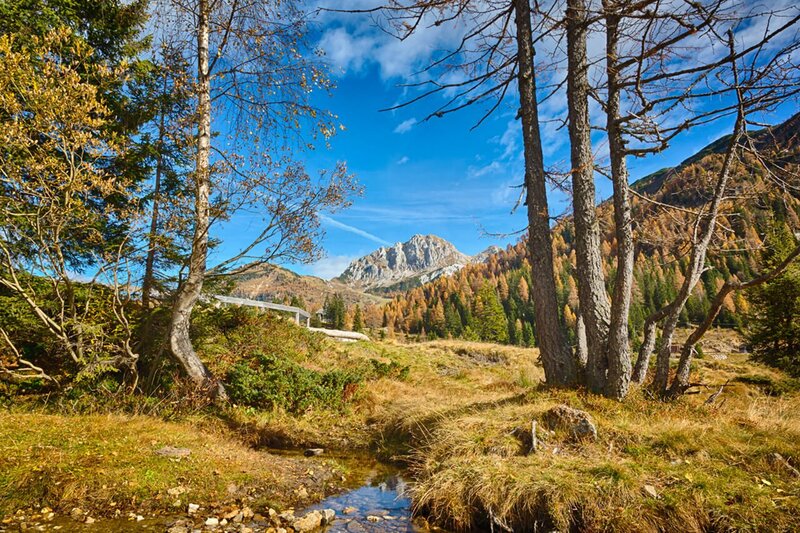 The Joglland-Waldheimat region offers a similar palette of opportunities: The mid-altitude woodland region is made for hiking and its peaceful atmosphere makes it the perfect destination for those wanting to recuperate. It goes without saying that there are Landhotels in this region too to cater for a hiker’s every need.